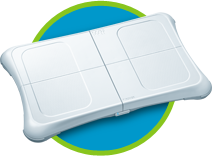 Welcome to the official discussion thread for Wii Fit U on the Wii U! To start, please add this game to your log, add it to your collection (if applicable), and (when you are ready) rate it using the link above! 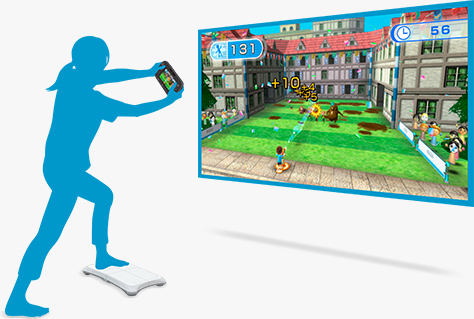 Wii Fit U, where fitness is fUn. No that's not their actual slogan, nor would it ever be a contestant for one, but from my own personal experience, Wii Fit has always been a fun and engaging experience. Where the series lacked in the past, challenge of keeping up your daily life with the game life, lack of variety over a long term, and ability to connect with friends,.... the new version for Wii U seems to be correcting all of this. 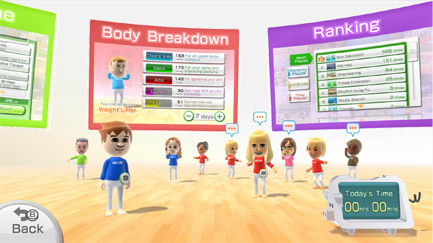 Join the Negative World Wii Fit U Community! A.) Demo the game Nov. 1st and buy a Fit Meter to secure the game for free. The Fit Meter costs $20. B.) You can buy a Fit Meter and a disc copy of the game for $50. I believe that's on December 13th. C.) You can buy the disc game, Fit Meter, and the Balance Board for $90 dollars, also December 13th. For more information, check out Nintendo's webpage for Wii Fit U.
I'm working on it. I'll post here when it's ready. It has been made! I put the number in the OP and moved a chunk of my OP to this post here. I hope it is easy for everyone to see the number and join the fun! Personally I'm quite excited for the Fit Meter which will allow me to track all my steps at work and home and sync them up with the game. The idea of earning in-game items or coins or credit (even if it's just a pat on the back) for exercise and mobility always was a good concept to me. It's why I continue to spend my 3DS coins on Puzzle Pieces and other things and why I bring my 3DS to work daily to rack up the coinage. Easily I hit my goal daily and for those steps to be converted into something more useful to me and my health is an exciting proposition. 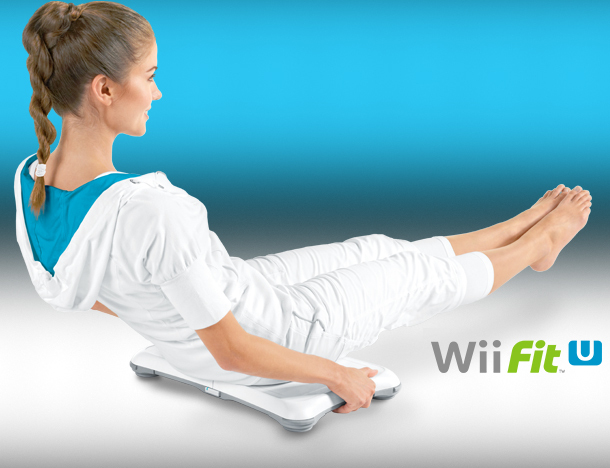 I am also excited for the wider breadth of games, both ones that use the Wii Fit Balance Board and those that don't. I have gained some weight in the past two years and while I can't get back all the time I had to work out and cook better meals when I was thinner, this game will be a useful tool to not allow myself an excuse when I'm at home and 'kind of wanting to work out'. When working out isn't 'work', I love it. I lost a bunch of weight some years ago when I literally worked out every day for over a month using primarily Wii Fit. Some days were strenuous and some weren't but overall, having a half hour of this in my life a day, or most days, has proven to be a good fit for me. Sure it's not something I'll keep up with forever and ever, but I hope it's that fun energy burst I need to fill pockets of my day that otherwise would go to the sloths. I'm picking this up day one, are you? Also, here's the number anyway for those who didn't notice. Anyway, if someone buys a WiiFit meter to turn the demo into the full version, I'd like to know how it works, like: is the demo still named "demo"? I synced my Fit Meter but I haven't backed out. The game never said Demo for me from the start, not that I noticed. It stated it was a demo but there was nothing like that on the logo or images or anything. I just downloaded late last night, played a few games but haven't looked at communities yet. That luge game really made me realize how weak my core and abs are! Yea my version doesn't say Demo it says Free. Yeah, I just noticed that on mine. Nothing within the software denotes this but the icon shows Free. It's incredibly minor. I had some fun with that game but whoa is it awkward. I actually had a ton of fun with Puzzle Squash and that Jazz Dancing game. This thing once again calls me Obese and makes me look worse than I am, but alas I do need to lose weight. I guess the horrendous fatty on the screen helps me convert this fatty into something else. Not that I'm THAT bad. Anyone join the community yet? I couldn't see any stat changes since I made it. Nothing within the software denotes this but the icon shows Free. It's incredibly minor. ... but apparently it still says "Free" or "Promo" after you bought the Meter. It's a silly detail, but I know myself, I'd rather buy the downloadable version when it releases (I don't want to launch it from a disk either). I'm going to tweet at Nintendo of America and see if that'll do anything. Sounds crazy but I know they look at that thing. All it takes is one guy to notice and then a tiny tiny patch in the future updates. Joined the community! Fun time so far, doing a mix of the new and old stuff for my first workout. My first workout contained a '30' min mix they chose but it lasted way longer with all the explanations and such. Glad to see the community starting to grow! I'm psyched for that. Went to buy the Wii Meter at Toys R Us but no luck and none in the area have them either. Hopefully they'll get them in soon because I have some Toys R Us Groupons that I hope to use on this. I wanted to buy from them too but alas, nobody in my town has them. I don't understand. Yesterday I nabbed one off Amazon and overnighted it for not too much more. It arrived by 10:30am today. From order to door it was only about 15-16 hours. Score! I joined the community and logged twenty minutes today...I already took the dog for a walk earlier, so there's that too. Did you walk with the Fit Meter? I am indeed seeing the community populate now. How exciting! Don't have it yet. Amazon said it should be here Thursday, so I'll sync once it gets here. I just manually logged my time. Ugh just a 15 minute strength training routine on standard intensity took a lot out of me. Hard to believe I used to be in such great shape. Is there really no push ups in this game? I can't find them anywhere. There used to be push-ups and side planks in strength training. Is it not there anymore? I don't know about side planks but I could not seem to find push-ups unless I'm just going blind. I thought I saw someone post on Miiverse about the pushup challenge... I don't see why they'd remove it. I can't confirm right now though.